My June 2018 Boxy Charm came in fairly early this month again, Wednesday June 13. I have just been to busy to get the pictures taken for this post! They have once again done the flip out type of card to give you information on the products for the month. There was a new little insertion on the back of the card though called #BOXYFACT. #BOXYFACT: Did you know...our name came from our very own CEO's wife, Patty! 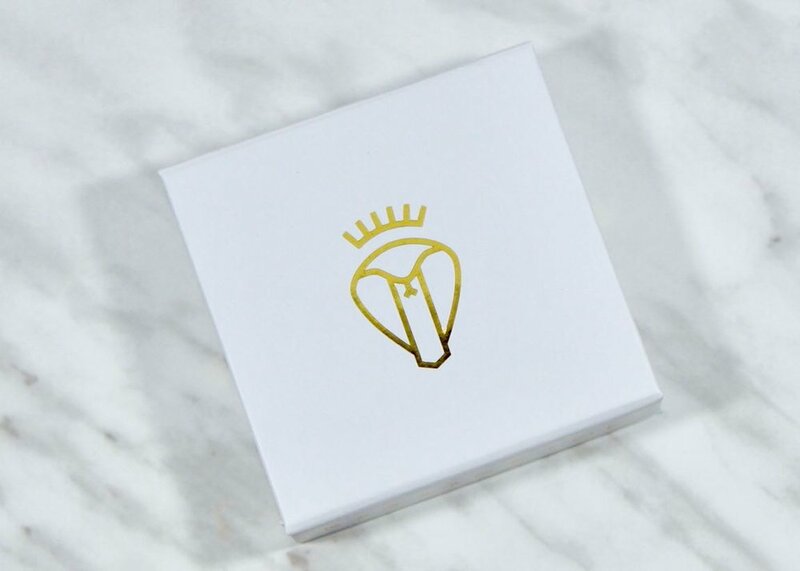 On a whim, she suggested "Boxycharm" and we knew that it was meant to be. I am thinking that maybe they will give us a little known fact about Boxycharm each month? 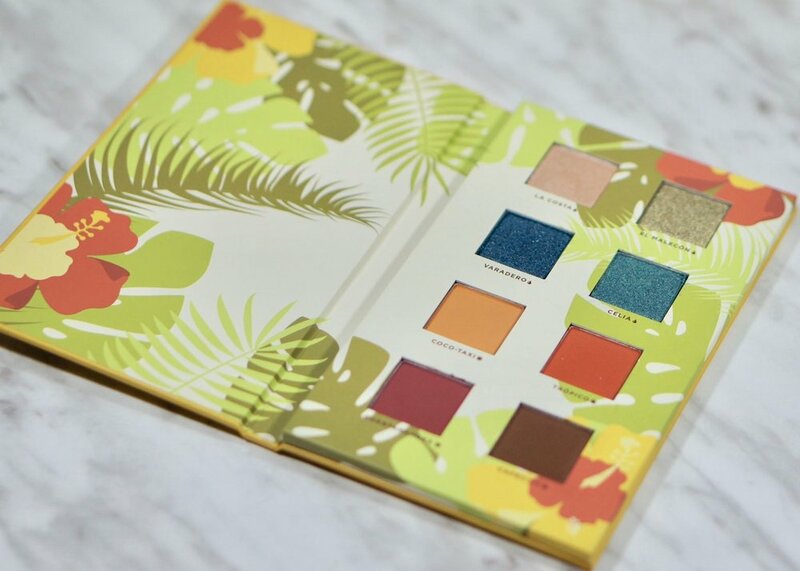 The theme for the June 2018 Boxy Charm is 'Caribbean Queen', which suggests to me items for a hot tropical vacation! I think Boxy charm did well with the chosen products. Everyone received 6 products again this month, which is great. I think maybe because the Sol de Janeiro was a sample size? Im really not sure why we received 6 products, but I do like it! A nice assortment of products yet once again! 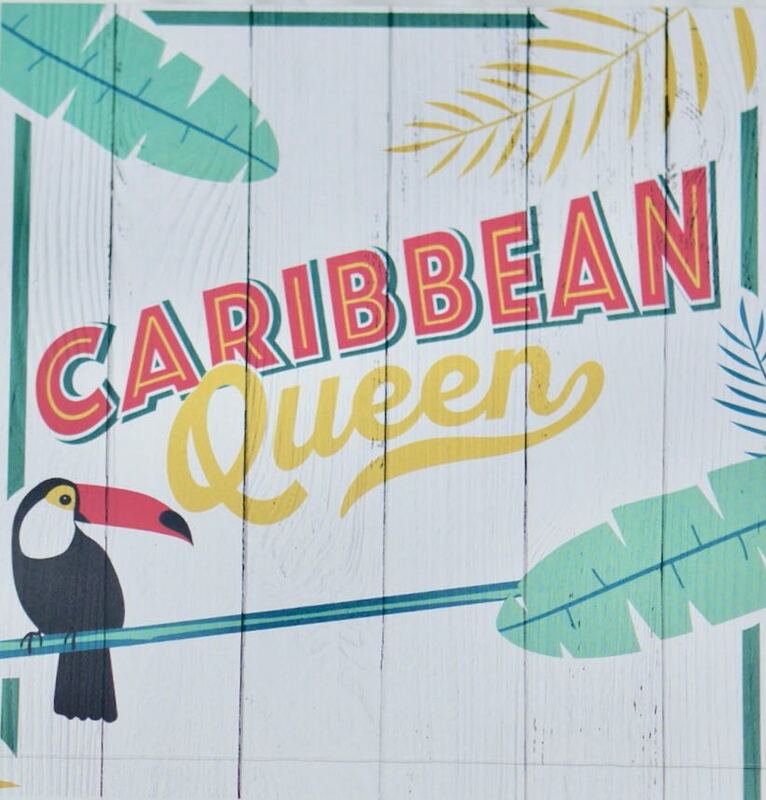 In the June 2018 'Caribbean Queen' Boxy Charm I received another great assortment of products to try out. An eyeshadow palette, false lashes, liquid lipstick, eyeliner, Bum Bum cream..., and of course my favourite - brushes! I am looking forward to trying out the brushes and the eyeshadow palette the most. I have received another OFRA liquid lipstick and I do like them, this one may be to brown for me though, we shall see. I have tried the Bum Bum cream before and wasn't to excited by it, but I did only try a foil sample before. I may not try the lashes, I have never really tried them before...maybe a good time to try them out. Alamar - Reina Del Caribe - This palette features 8 highly opaque shades, reminiscent of the beauty and culture of Cuba. Dive into pigments and pearls found in the intense metallics, or ground your look with the warm richness of the creamy mattes. For a more intense application, refer to the shade names that feature a water droplet that can be used with a wet brush-the sun symbol, for application with a dry brush. Retail $28.00 USD. The Reina Del Caribe palette is full of warm summer-y shades that are perfect for June, and the rest of the summer. All the shades swatched great except Guantanamera, which I am hoping works better with a brush. The first four shimmer shades all have the water droplet and the four mattes all have the sun symbol which makes sense that the shimmers would be more intense wet. Below are swatches I did, all dry and with one swipe of my finger. La Costa - Pearly champagne with pink highlights (high shine shimmer) - looks like a great neutral lid shade. El Malecón - True gold with rich olive undertones (extreme high shine metallic) - I love the hint of olive in the gold shade it makes it a little different. Varadero - Stunning deep royal blue/teal (extreme high shine metallic) - wow that is a bam in your face metallic blue shade! Not for the faint of heart, hopefully I get up the nerve to try it out! Celia - Vivid turquoise with gold reflects (high shine shimmer) - another beautiful shade, a little toned down compared to Varadero, maybe I will be more likely to wear this one?! Coco-Taxi - Yellow toned bright orange (velvet matte) - I don't get a lot of 'bright' orange from this shade, but it looks like a great warm transition shade to me. Trópico - Intense burnt orange (velvet matte) - a great compliment to Coco-Taxi, deep warm orange shade that would be great for deepening things up a bit. Guantanamera - Deep raspberry/burgundy (velvet matte) - didn't swatch the best but it looks like it'll be great for deepen the outer v, hopefully it preforms better with a brush. Cafecito - Deep coffee (velvet matte) - I love when palettes give a deep brown instead of black in a palette. 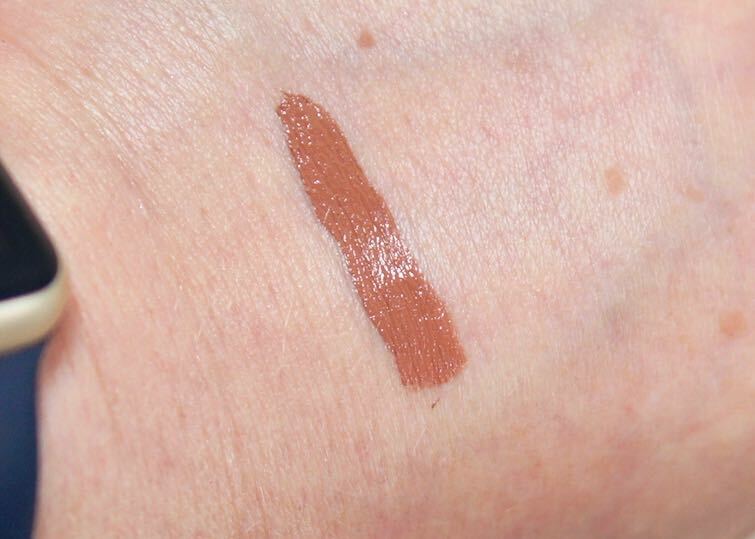 I think this shade will have quite a few uses including as a liner! Battington - Monroe Silk Lashes - The 3-D multi-layered Battington Monroe Silk Lashes enhance your look with modern length, adding a volume and length to your lashes. They're handmade with 100% silk and impressive durability, allowing up to 25 applications with proper care. Retail $28.00 USD. I have only tried lashes once, and they were individuals! I am not to sure if I will use these ones or not, they look a bit dramatic in the package! I will let you know if I do end up trying them out or not. 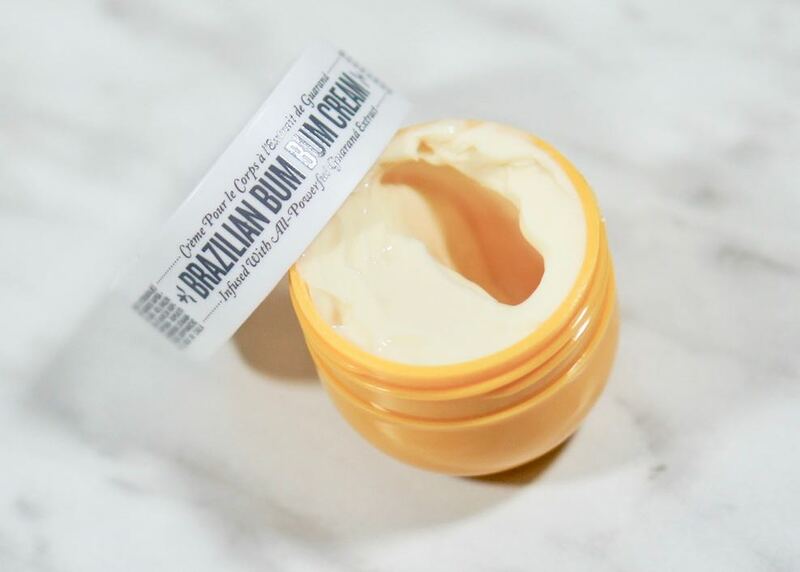 Sol De Janeiro - Brazilian Bum Bum Cream - Brazilian Bum Bum Cream is inspired by the Brazilians favourite feature-the bum bum! It's creamy and rich in Guarana, a native Amazonian plant whose fruit contains one of the most potent forms of caffeine. The fast-absorbing texture contains just enough mica to add a perfect Brazilian glow, as the formula helps your body look and feel its smoothest and highest. Retail $10.00 USD. I have tried a foil sample of the Bum Bum Cream once before and wasn't that impressed with it. I do know that a lot of people love this cream though. It does smell good though! 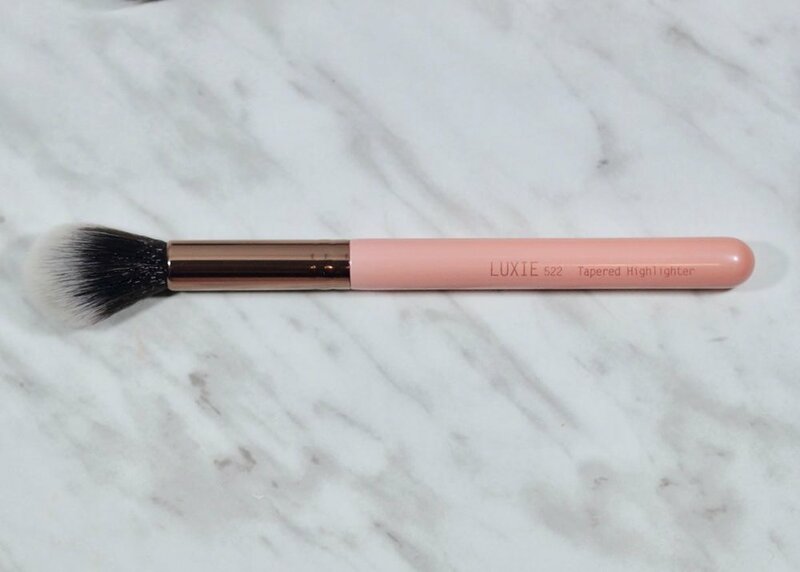 Luxie - 3 Piece Flawless Complexion - Precision Foundation Face Brush 660-With less bristle density, this brush is perfect for applying both powder and liquid foundations to create a soft, diffused makeup look. Tapered Highlightiening Face Brush 522-This fluffy, tapered brush allows you to seamlessly apply your favourite powder highlighter to the high points of your face or set your under eye makeup. Duo Fibre Powder Brush 516-Use this ultra-soft duo fibre brush to apply cream or powder makeup for a softer, flawless finish. Handcrafted makeup brushes with high quality, soft synthetic bristles using hypoallergenic, vegan, and cruelty-free materials. Retail $42.00 USD. 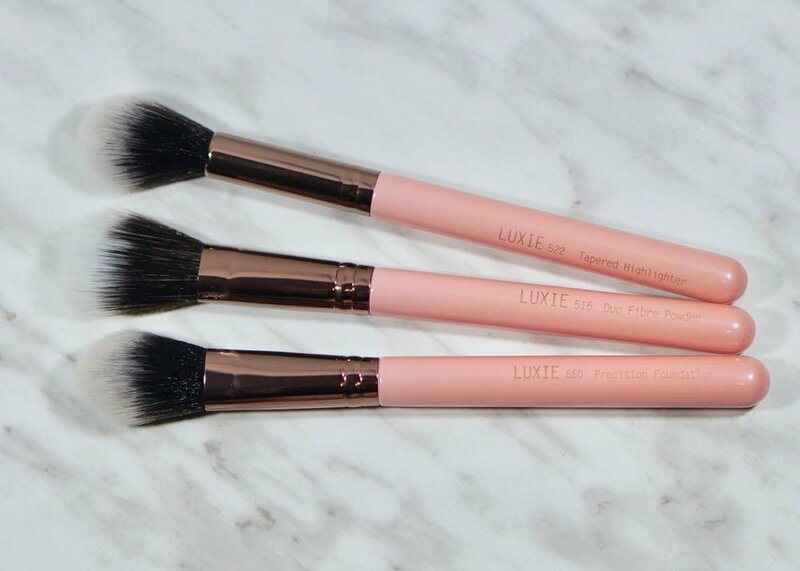 My favourite product to get in subscription boxes, Brushes! I like the shape of all 3 brushes and think I will use them all, probably not for what they tell me to use them for on the handle though. I have tried quite a few brushes from Luxie before and have liked them, heres hoping for a repeat of that. Jonteblu - Waterproof Eyeliner Pencil - The 100% vegan, Waterproof Eyeliner Pencil glides on smooth for an elevated eye look. 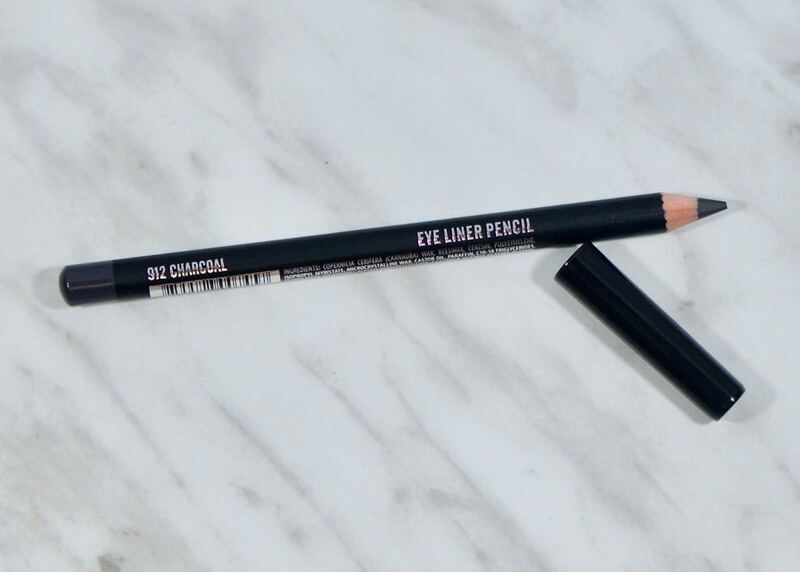 Use along the upper lash line or water line. Retail $5.00 USD. I haven't used a grey liner really before, maybe I will end up liking it! I saw that some other people received a brown shade which I would have for sure used. OFRA - Long Lasting Liquid Lipstick - OFRA Long Lasting Liquid Lipstick is a one-step, full lip colour that does not feather. These vibrant colours will give you a vivacious new look. They are creamy and soft in texture, moisturizing the lips and creating a long lasting lipstick affect. No need to use lipliner, this liquid lipstick gives a beautiful edge to your lip look. Retail $21.00 USD. I received the OFRA Long Lasting Liquid Lipstick in the shade 'Verona' which is fairly brown toned. As you can see from the last picture it does dry down darker than when wet. From what I can remember I liked the last OFRA Liquid Lipstick I tried so heres hoping I end up liking this one as well. Once again Boxy Charm gave a huge value for the $35.00ish CAD that I pay for it. The June 'Caribbean Queen' box has a retail value of $134.00 USD. I received quite a few products that once again are new to me and that I have an interest in trying out. I have yet to get a box that I didn't like at least one thing in it, and have had fun trying out new products. I have now been getting Boxy Charm for almost 2 years and still enjoy getting my surprise box each month. PUR Sculptor Palette- Sadly for me, I was right about the PUR palette being to dark to use as face powders for me. But they do work great as eye shadows! They blended great and had great lasting power on the eyes. I am sure that they would have performed the same on the face for people who could use them there. I am glad that they included a face palette for darker skin toned people finally, even though I wasn't able to use it for its intended purpose I still found a use for it. Coverfx Blurring Primer- I was hoping this would be a blurring primer that I didnt feel on my face, sadly I could. I like the idea of blurring primers, just not the silicone-y feel they all seem to have. I find it to feel heavy on my face no matter how much I use. Oh well, the hunt continues for a blurring primer that isn't heavy feeling! Pretty Vulgar The Ink Gel Eyeliner- I love the packaging of this liner, it looks like an ink pot. The liner worked great, gliding onto the lids without tugging and stayed put throughout the workday. The only thing about the liner is that the pot is quite deep so it was a little hard to judge just how much product I had picked up on my brush so I actually started wiping it off on the side of the jar. Aesthetica 3 Piece Eye Trio- This set was pretty much a dud for me, which is saying a lot considering I love brushes! The angled brush was just to s=wide to do much with for me, I was only able to use it a little in the front of my brows, it was to wide anywhere else. The spool was ok, it is smaller than my other spools. The liner brush worked ok with the liner, but I did prefer using a flat topped liner brush more. Aesthetica P12 Face Brush- Another ok brush, but at least one I was able o use! I used this brush for finishing powder all over my face. It is soft and to dense so it worked well for an all over powder for me. I am thinking it might also work well for blush, ill have to try that out next. Beauty Creations Matte Lip Gloss- This ended up being a more of a gloss than anything else, definitely not matte. It was really sticky and didn't dry down even after an hour of wearing it. I found that whenever my lips touched and I started to talk, my lips stuck together a little. Definitely not a fan of this one. So the May 'Boxy Bash' box not the best box I have ever gotten with quite a few dudes for me. But I was able to try out 6 new to me products that I may not have tried out otherwise. I will continue to use the gel liner, and will probably keep it well past its expire date just for how it looks! I will also continue to use the P12 Face brush trying it out with different products as well. I was happy to try out the Coverfx primer, now I don't have to buy it or ask for a sample. I will probably see if any of my friends or family are interested in the products that just weren't the best for me.